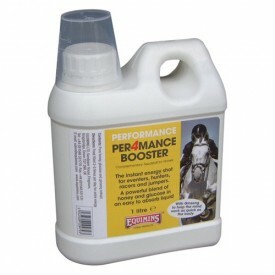 Health, nutrition and fitness are essential when it comes to your horse’s performance. 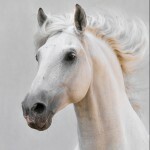 An unfit or off colour horse, much like an unfit person, will not be able to perform to the best of their ability. This is why fitness regimes are so important, and why tailoring your plan to the work your horse is going to be expected to do is vital. However, like humans, there are times when a bit of a boost can be very well received, and that’s why we have two products designed for the job. They, like any other energy boosting supplement, shouldn’t be used in place of a correct fitness plan or correct nutrition, and if you feel your horse is off colour, do call the vet. However, supplements designed to support energy levels certainly have their place. Our Energy B Booster Supplement Paste contains a superb combination of B vitamins, important trace elements, organic minerals, glucose, vitamin E and amino acids to help support peak performance. It’s formulated to provide important nutrients and extra energy during strenuous activity. Administered via oral syringe. Find out more here. Our Per4mance Booster is a liquid energy shot containing honey and glucose with ginseng extract, cider apple vinegar, eucalyptus oil and menthol. It has been developed to give a little extra ‘umph’ when needed, and can be given up to three times a day. Just 50ml is given each time, so it’s great value too. Find out more here. Using a product that supports performance when needed can be really valuable, and finding the right one is very important. See our full Performance range here for more great products.